Moving quotes can vary widely by moving company, and cheapest doesn’t always mean best. Bargain companies may have unexpected surprises in store for their clients, tacking on previously undisclosed charges for manpower, fuel, driver cost, additional supplies or incidentals. 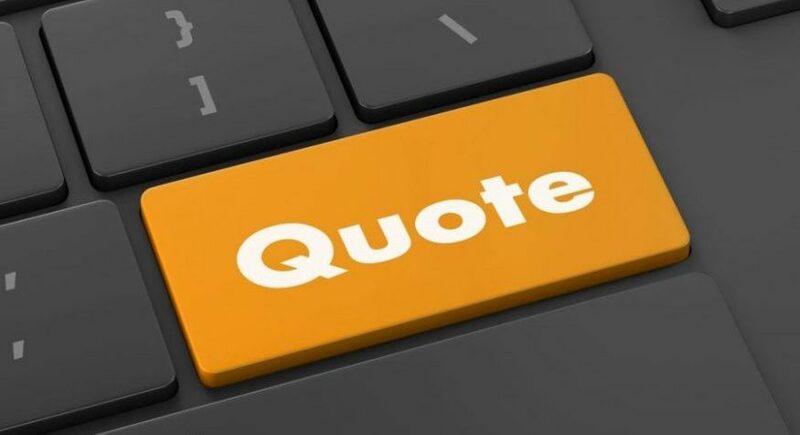 In order to obtain the most accurate moving quotes ahead of time, consumers must do their own homework. Consumers should be careful not to forget outdoor equipment as well as items stored in closets, the garage and attic. Moving companies usually calculate cost based on the total estimated weight of the customer’s belongings utilizing what’s called a cube sheet. Sample cube sheets can be easily downloaded online and may help consumers assess the bulk of their possessions. This tool assigns a number of cubic feet to common household goods. The total amount of cubic feet is then multiplied by seven to arrive at a total weight estimate. Generally accepted industry standards indicate the average weight for one cubic foot of belongings is approximately seven pounds. An exact inventory is essential to obtaining accurate moving quotes. In addition to weight considerations, the distance between departure and destination city plays a major role. Moving quotes for a local move will be less expensive than an interstate or international one. The “from” and “to” will be one of the first questions moving companies ask when preparing a bid. The next question will be “when?” Consumers should be prepared to provide exact dates when soliciting pricing information. It is recommended to request bids from a minimum of three moving companies. Because not all companies provide the same services or include the same accommodations and support in their price packages, it is imperative for consumers to ask the right questions. What is included in the bid? Does it cover some or all of the following? What happens if there is a change in dates? What does the moving company charge per pound of belongings? Are there any hidden costs to prepare for? What circumstances, services or products could incur additional expenses? Although moving quotes initially obtained online or by phone can give consumers a ballpark figure, most reputable moving companies won’t commit to a final bid until a company representative (called an estimator) has surveyed the customer’s belongings in person. This service should come at no cost to the customer and be completed in a timely manner. Based on the estimator’s survey, the moving company then calculates the estimate. Consumers have many choices available when selecting a moving company. Diligent preparation will facilitate the search.